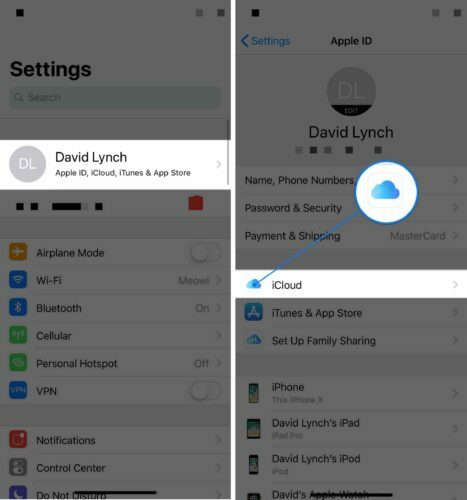 How To Sync Messages To iCloud On iPhone: Here's The Real Fix! 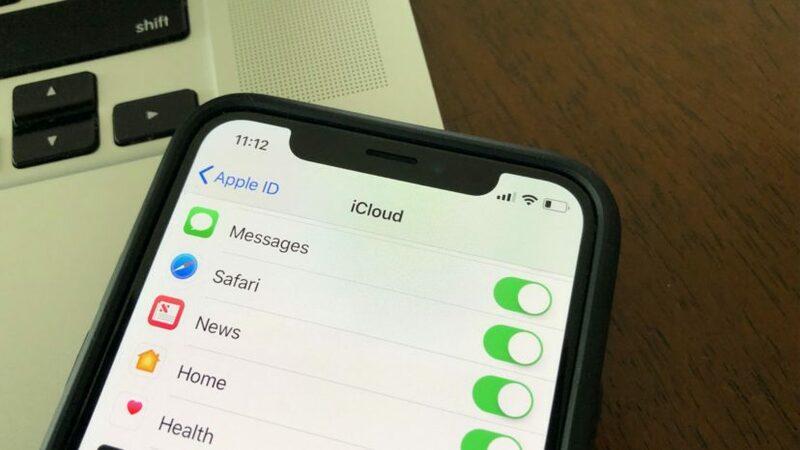 You are at:Home»iPhone»iCloud»How To Sync Messages To iCloud On iPhone: Here’s The Real Fix! You want to sync all of your iPhone messages to iCloud, but you’re not sure how. Up until now, there was no way to do it! In this article, I’ll show you how to sync Messages to iCloud on your iPhone. The option to sync Messages to iCloud on your iPhone was originally introduced when Apple rolled out iOS 11.4. So before you go any further, just make sure your iPhone is up to date. 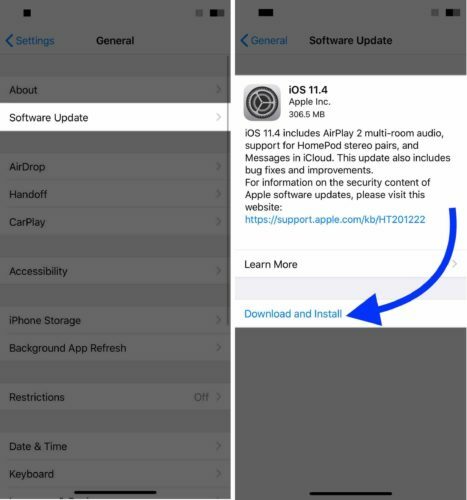 Go to Settings -> General -> Software Update and tap Download & Install if you haven’t already updated to iOS 11.4 or later. 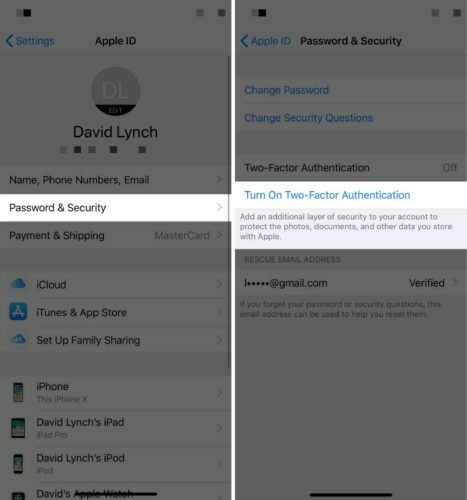 You also have to turn on two-factor authentication before you can sync Messages to iCloud on your iPhone. To do this, open Settings and tap on your name at the top of the screen. If you’re not signed in already, do so using your Apple ID and password. Tap Passwords & Security, then Turn On Two-Factor Authentication. When you do, a new prompt will appear on the screen informing you about Apple ID security. When you see it, tap Continue at the bottom of the screen. On the next screen, you’ll be asked to choose the phone number that you’ll use to verify your identity. By default, this is set to your iPhone’s phone number. If that’s the number you’d like to use — and I recommend that you do — tap Continue at the bottom of the screen. If you’d like to choose a different phone number, tap Use A Different Number at the very bottom of the screen. Once you’ve chosen the phone number you’d like to use, your iPhone will verify Two-Factor Authentication. You’ll have to enter your iPhone passcode to confirm the setup. 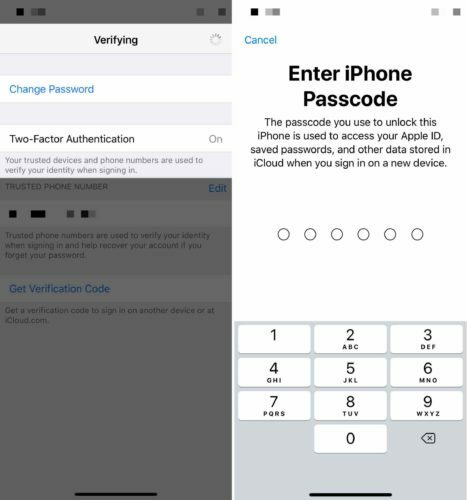 Once Two-Factor Authentication has been set up, your iPhone will say On next to Two-Factor Authentication. Now that you’re iPhone is up to date and you’ve turned on Two-Factor Authentication, we can begin to sync your iMessages to iCloud. Open Settings and tap on your name at the top of the screen. Then, tap iCloud. Scroll down and turn on the switch next to Messages. You’ll know it’s on when the switch is green! Congratulations, you’ve just synced Messages to iCloud! Make sure you share this new feature with your family and friends so they can learn how to sync Messages to iCloud on their iPhone. If you have any other questions, leave a comment down below. Previous ArticleWhy Does My iPhone Keep Restarting? Here’s The Fix! Next Article “Unable To Check For Update” On iPhone? Here’s The Real Fix!